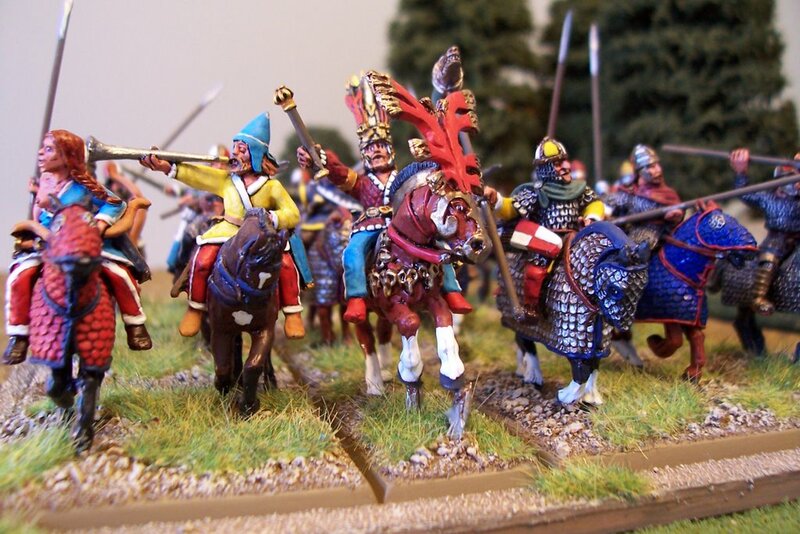 This is the Sarmatian/Scythian King leading a 18 figure Sarmatian Noble cavalry unit (2 more to paint). 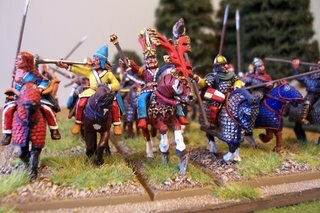 The figures are a mix of Foundry Scythians, Sarmatians and Old Glory Sarmatians (many of the armoured horses are from Navigator Miniatures). These figures are presently used in the army of Mithradates of Pontus with varying results.